Nice post. The concert mentioned was in my folks’ living room, tee hee. 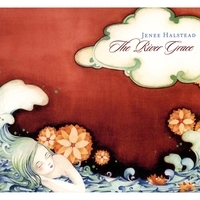 Loved reading the “Behind the Music” stuff about Jenee and the recording of ‘The River Grace’. TRG is right up there with Patty Griffin’s “Living with Ghosts” in my opinion. Wow, this is hot poop! I ❤ Jenee.